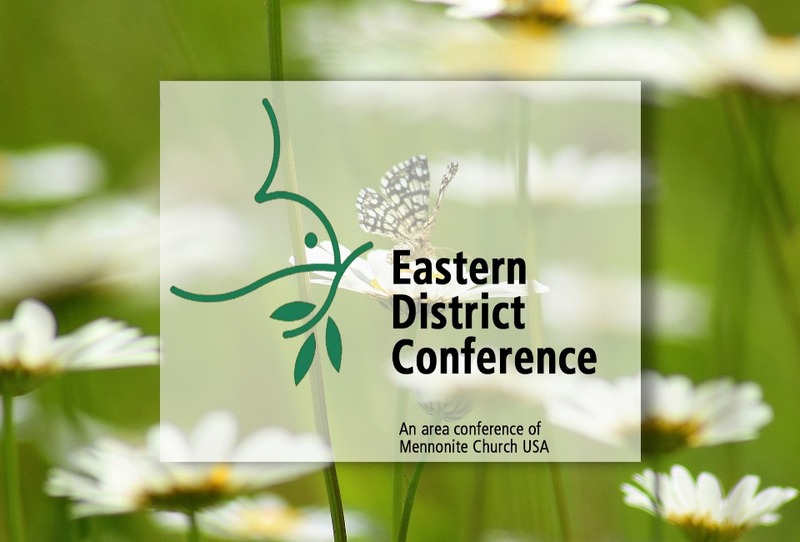 When spring is in full swing, Eastern District Conference (EDC) annually gathers to celebrate being family. Many times, congregations lose sight of the fact that they are not alone. In the hustle and bustle of our churches’ weekly gatherings, engaging in each other’s lives, and trying to make the world a better place by showing people the beauty of a relationship with God, we get bombarded with the concept of our local church. Many times, our local church becomes our focus and Conference turns into this “thing we do” versus this “thing we belong to”. We even go as far as calling it family. The Spring Assembly for EDC is not a gathering to do business, but to be family. The 10 churches of EDC have an opportunity to embrace the beauty of God’s family through the expression of the Mennonite lense. Our churches all have their local context, but this bond we have through our Mennonite Anabaptist heritage draws us together. Whether you are a congregation that is 300 or 10 years old, you are family in EDC. Many wonder, what does this Spring Assembly look like? Over the years it has been a time of workshops, conference related ministries sharing their passions, and story-telling of God’s movement within our own contexts as congregations. Over the years we have found that Spring Assembly is a moment to pause and have a family reunion. Each year it is a time to refresh and see what God is doing amidst us! This year the agenda was simple and interactive. 32 people gathered at Zion Mennonite Church and sat at round tables and began to engage each other. The morning was a time of reporting from Jim Musselman, Conference Moderator, and Pastor Scott Roth, Interim Executive Conference Minister. These reports talked of what is happening in the denomination, specifically in relation to the Journey Forward process and Constituency Leadership Council (CLC). We were reminded that the Journey Forward is a chance for churches to engage at a local level around what it means to be Mennonite Church USA. The hope is that every church will engage the Journey Forward study material that is being provided by Mennonite Church USA, so that when we go through the Journey Forward process in 2019 we’ll be equipped and ready to engage on how to move forward as a denomination. We, as local congregations, have this chance to interact around the materials that will shape our future denomination. Time was then spent in circle tables reflecting and discussing the hopes and fears of joining with Franconia Conference and becoming one. This created dialogue to open up our hearts and minds to what it means to be conferences within the Mennonite context as well as being part of the Kingdom of God. Realizing that our two systems (Eastern District and Franconia) have a good working relationship, we know that at a local level, there are hurts that lie in more personal engagement stories. This being said, the hope is that we can both look at each other as conferences and view each other well when this process is all said and done, regardless of how a vote comes out. To end the day, each church had time to share their stories of how God is working in their midst. Testimony was given to the presence that God has with us. God was seen in missions trips, community interactions, and new ways of discipling within our congregations. When it was all said and done, EDC gathered together and had communion. They broke bread and gave witness to the daily work God is doing through us, remembering what God has done for us and continues to do with us. The Spring Assembly continues its tradition as a space for renewal, marking a moment of who we are as family in the Kingdom of God.